Herb Kohl recognizes the importance of a good education and is offering our students an opportunity to achieve greatness through his success and philanthropy. Here is a wonderful opportunity for our students. Take advantage of it!! Cardinal Pride IS Alive! 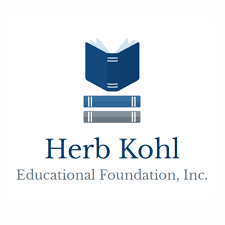 Application and Selection Process Students may apply by accessing the Herb Kohl Educational Foundation website. In order to provide all nominees an equal opportunity, they must follow all instructions in the application. Students must submit their completed applications, including letters of recommendation, no later than Sunday, November 4, 2018 at 11:59:59 p.m. Central Time. Applications submitted by the deadline without the required three letters of recommendation are incomplete and will not be considered. There is no limit to the number of applications that can come from a single high school or a district. Additionally, there is not a selection process at the school district or building level. The first round of application scoring will take place at the CESA level, or for Milwaukee Public School District (MPS) students, at the district level. Once completed, the student applications are then forwarded to the Regional Selection Committee, which is coordinated in each of the state’s 12 Cooperative Educational Service Agencies (CESAs), or Milwaukee Public Schools (MPS). Students who have reached the Regional Selection Committee will be notified by their CESA or MPS whether or not their application has progressed to the Statewide Selection Committee. Successful applicants' materials will be forwarded to a Statewide Selection Committee by Monday, January 14, 2019. Applicants not advancing to the Statewide Selection Committee will be notified by their CESA agency or MPS. Representatives of the Herb Kohl Educational Foundation, CESAs and MPS, the Wisconsin Council of Religious and Independent Schools, the Wisconsin Newspaper Association, Wisconsin Parents Association, and state education-related associations serve on the State Selection Committee. Applicants who have reached the Statewide Selection Committee will be contacted in early March with the results. 1. The scholarship may be paid in full all at once; 2. The scholarship may be distributed over two years at $5,000 per year; 3. The scholarship may be distributed over four years at $2,500 per year. Scholarship recipients will be honored and will receive certificates representing their awards at a regional award luncheon held in the spring. The deadline for public school students to submit completed applications, including letters of recommendation, is Sunday, November 4, 2018 at 11:59:59 p.m. Central Time. Private school and homeschool students may submit completed applications, including letters of recommendation, until November 25, 2018 at 11:59:59 p.m. Central Time. We strongly recommend that you begin work on your application at least 30 days in advance of the deadline. As part of the application process you will be required to enter the name and email address of each of the three individuals you have selected to write letters of recommendation. Upon your submission of this information, recommenders will receive an email message informing them of your application and providing instructions for submitting their recommendations online. Please submit their contact information well in advance of the application deadline so that they have adequate time to respond. You will be notified when letters of recommendation are submitted, but you will be unable to access the letters themselves.